A dog was stabbed at a home on Sandy Point Road in Crawford County last Monday around 3 p.m. The owner of the dog said she was injured with what appeared to be stab wounds. Sixty-eight-year-old Marvin Bryson, of Lizella, was arrested last Friday at 4:20 p.m. and charged with two counts of aggravated cruelty to animals. As of Tuesday, he was additionally charged with one count of theft by taking. Bryson's bond is set at $10,000. He also has a special conditions bond order that he cannot stay or be in Bibb, Peach or Crawford counties. He is only to to make court appearances in Crawford. He's still being held in the Crawford County jail. 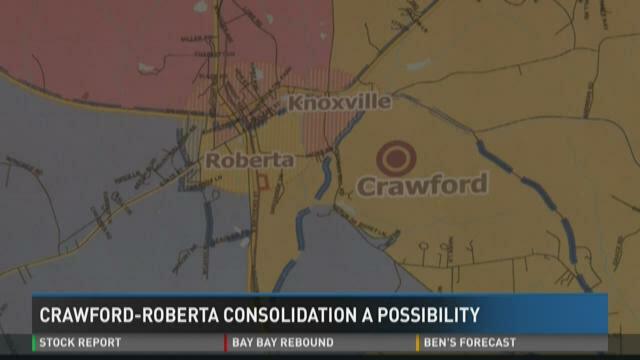 Folks in Crawford County and the city of Roberta might get to vote on consolidation this year. It would mean unifying the city and county into one government, as Macon-Bibb did in 2013. Claire Davis met with the county manager and people in town to learn more. A GBI crime-scene unit and Crawford County deputies are investigating skeletal remains found in woods off Old Knoxville Road. J.T. Ricketson, special agent in charge of the GBI's Perry office, says a property owner found the bones on Sunday. A warrant has been issued for a suspect allegedly involved in an armed robbery that happened at a Fort Valley gas station last week. According to a Facebook post from the Fort Valley Department of Public Safety, 25-year-old Larry Little, Jr., of Stone Mountain, Ga., is being sought by police for armed robbery. Detectives are still working to identify the second suspect. The robbery happened last Wednesday at Flash Foods, located at 401 Blue Bird Blvd. The store clerk told deputies two men came into the store and demanded money at gunpoint. After receiving an undisclosed amount of money and cigarettes, the two men fled the store on foot. Anyone with any information on the suspects' whereabouts or the robbery can call the police department at 478-825-3383. The Fort Valley Police Department is searching for two men involved in an armed robbery that happened at a gas station on Blue Bird Boulevard Wednesday around 11:15 p.m. According to a Facebook post from the department, it happened at Flash Foods Five Points. The store clerk told deputies two men came into the store and demanded money at gunpoint. After receiving an undisclosed amount of money and cigarettes, the two men fled the store on foot. Anyone with any information on the suspects' identities or the robbery can call the police department at 478-825-3383. The GBI says it is investigating several reported clashes between the mayor of Roberta and her family and the city's police. That comes after a Roberta police officer claimed he was fired filing a compliant after a traffic stop involving the mayor's daughter. J.T. Ricketson, the special agent in charge of the GBI's Perry office confirmed they are investigating the Mayor Becky Smith. "We started yesterday, at the request of District Attorney, David Cooke," Ricketson said. "We are checking into an October traffic stop and the subsequent actions by the Mayor and the officer," Ricketson said. He said he couldn't comment further because the investigation is ongoing. Cooler temperatures are finally coming to Central Georgia, which the folks at Dickey Farms in Musella are happy about. Right now, the peaches are in the form of tiny buds on the branches. In order to grow juicy and flavorful for the summertime months, they need to go through a chilling period. "They come out deformed and they don't grow right. ," explains Robert Dickey. He says peaches need about 650 to 1000 hours of cold weather under 45 degrees That's about 27 to 40 days between mid-November and February. However, Dickey says this year's warm December brings up fears from the last time this happened. "One year back in the 70's, he says, "We had almost a complete failure by not having enough cold weather." A Roberta Police officer claims he was fired after filing a complaint against Mayor Becky Smith. Bobby Daniel field a complaint on Dec. 1. He said he filed the complaint for several reasons, including the traffic stop that is linked to this story after the mayor's daughter was pulled over. The video shows a traffic stop by Crawford County deputy Dennis Ballard. Daniel was called in for backup. That traffic stop was one of the reasons Daniel filed his complaint against the mayor. He said he was fired the next day for "losing a body camera and a flashlight" eight months earlier. When he lost the equipment he said he was "never written up or reprimanded." After several days, Daniel said he was rehired, but "never put back on duty." Daniel said he was terminated a second time on Dec. 10. When he asked city officials why,, he said they replied, "We didn't have to have a reason."